As well as providing a power supply backed up by a battery to keep equipment operating during a power failure, the Ellipse Eco also provides effective protection against damaging surges. This unit can either be placed horizontally, 19 inch rack mounted or wall mounted. 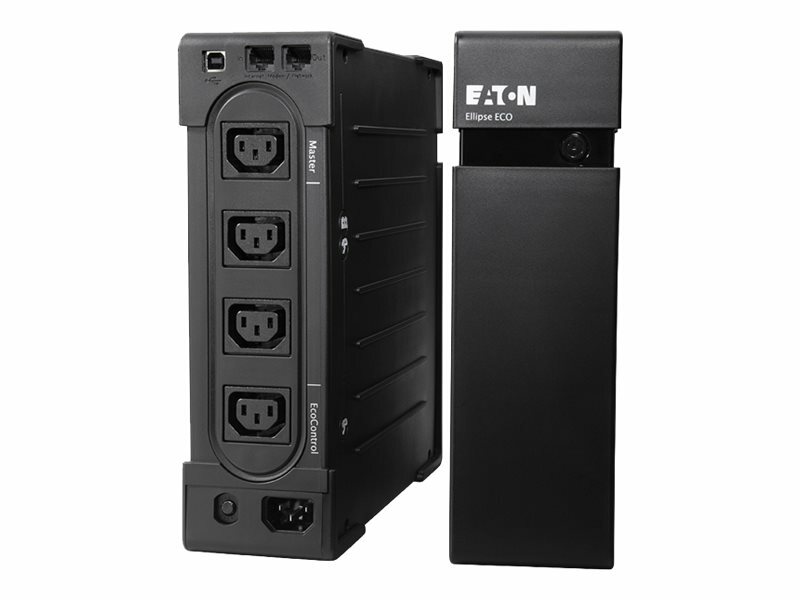 The Ellipse Eco also includes the Eaton Intelligent Power Manager software. It is an ideal protection for all business computers. 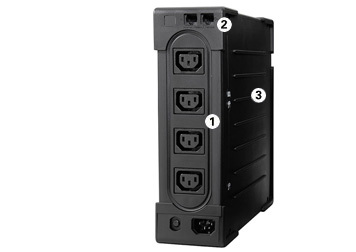 The Ellipse ECO 500 IEC comes with four outlets with IEC format for easy connection to typical computer configurations with peripherals. 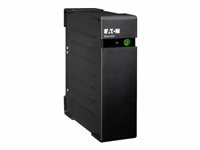 Push-button circuit breaker enables easy recovery from an overload or short circuit.